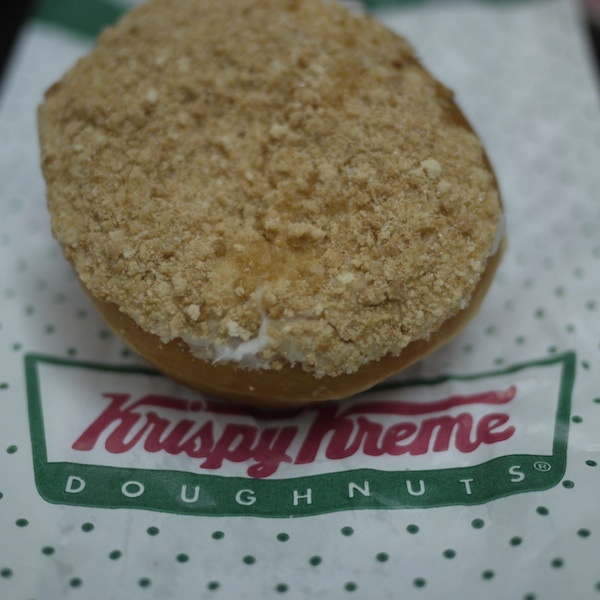 Krispy Kreme – Apple Crumble! Be honest, I’m not a huge fan of Krispy Kreme, but then ever since all its stores closed in HK I missed it like hell. My friend brought 2 dozen back when she was visiting in May and now it’s my turn…. yes, I brought 2 dozen of original glazed donuts@Sydney airport. The guy@KK gave me 2 of these “new” Apple Crumble Donut to try out… and they taste, unexpectedly good! It’s not as sweet as expected, haha, and the most important thing is, I couldn’t taste any cinnamon! Hohoho! (cos I HATE cinnamon! yes, I know, I love apple crumble, but hate cinnamon, haha).